The Natural History Center is currently closed for the winter. It will re-open April 1, 2018. Of course, our trails and parks remain open year-round and offer opportunities for birding, exercise, enjoying solitude in nature or a family fun day at the Children’s Nature Trail. The winter season is a perfect time to view the completed work of the VDOT restoration of the South Rockfish River on the RVF trail system, directly across from Bold Rock Cidery. 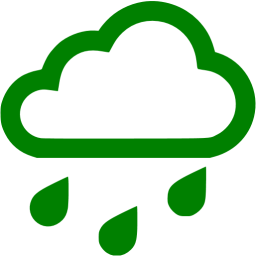 The Children’s Nature Trail provides an experiential learning environment for families to explore geology, waterways, plants and animals in a place where they can climb, balance, run free AND make mudpies. Elements include a rock spiral, balance beam, seesaw, climbing structure, tunnel, pollinator garden, firepit, chalkboard and a mud kitchen. Informational kiosks enhance each element of the trail. Save the Date! The 10th annual Kite Festival will be Sunday, April 8th, 2018. Last year brought approximately 2,000 people and a spectacular array of kites. Food and drink vendors, kite-making for kids and educational displays make this a great day to spend with friends and family in the Rockfish Valley surrounded by gorgeous mountain views. The Rockfish Valley Foundation gratefully welcomed the return of the Harris Mill wheel and mill stones from the Wintergreen Resort Fall 2017. The mill was operational until the late 1960s, at what is now the intersection of SR 151 and Glenthorne Loop, across the road from the Natural History Center. These artifacts are a significant part of our efforts to discover and preserve the local history of Nelson County and we are pursuing archaeology of the site. Please make a tax-deductible donation to our annual fund drive! PayPal/credit card payments can be made at www.rockfishvalley.org or by mail to PO Box 235 Nellysford VA, 22958 We also accept another type of donation called Amazon Smile. 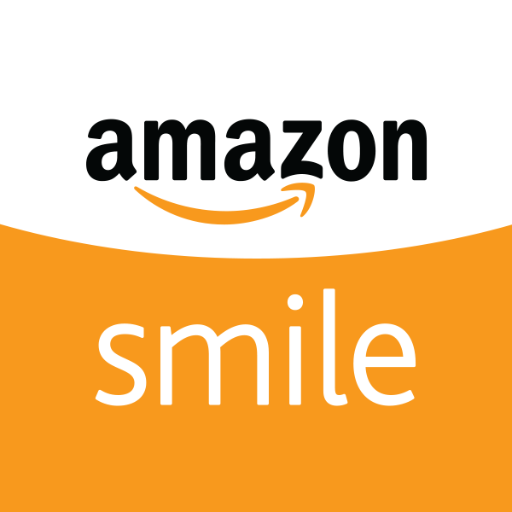 Contribute to RVF simply by shopping on Amazon Smile! For more details visit Amazon Smile. We depend on volunteers as museum docents and for special events and projects! 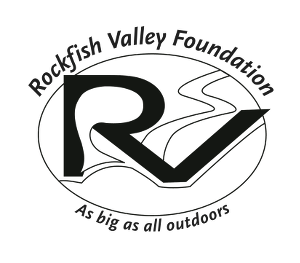 Please contact via email “Volunteers” to info@rockfishvalley.org STAFF POSITION RVF was founded in 2005. Since then it has grown to provide the Rockfish Valley Trail System, Spruce Creek Park and the Natural History Center. All that has been done by a volunteer board of trustees, the Agelasto family and nearly 100 volunteers. We are in transition to where there is a turnover of trustees and the Agelasto family will take a lesser role. Over the past 6 months we have sought grants to support the first year of a part time managing director. The final interviews take place January 6. 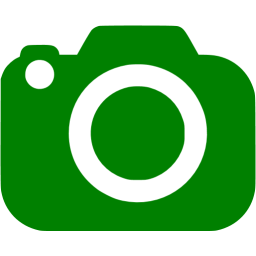 We have several excellent candidates and we hope to hire someone within our budget. At the same time we have new committee chairs for our trails, Spruce Creek Park, Finance and the like. We have a major collaborative effort underway with Nelson Schools but lack co-chairs for our education/program committee. There is lots of opportunity for community members to become involved. PIPELINE UPDATE – ARCHAEOLOGY AND MITIGATION You may not know that the ACP crosses lands of RVF in two places. One has been determined by FERC to have negative impact on the South Rockfish Valley Rural Historic District we worked between 2009 and 2016 to have recognized. The crossing is at our archaeology site which we call the Coleman Mills in the old Wintergreen Village. As a result Dominion will be required to do mitigation if the pipeline project comes through. They have filed a proposal which includes archaeology at the site and other things. We want to have exhibits on the historic district and on the pipeline project itself. SPRUCE CREEK CROSSING AND BZA You may not know that Dominion must get a variance for each flood plain crossing from the Nelson County Board of Zoning Appeals. This will require public hearings and votes by the BZA. Our crossing is listed by FEMA as one of the most risky. Much effort will be undertaken to educate the members of the commission so that they will strongly deny the crossing. That would require a reroute of the pipeline at RT 151. Our information from Dominion and others is that there is no other place in the Rockfish Valley they can cross. That would mean either no pipeline or one outside of Nelson. Please support our efforts. NEW OFFICERS AND COMMITTEE PEOPLE We are so fortunate to have Elise Lauterbach , a new trustee, to head our Spruce Creek Park committee. She is the one who made the Children’s Nature Trail happen. She has many volunteers but this is a major project and she needs more. Jessie Carter and Martin Bush are new co-chairs of the trails committee. On Jan 4th, 2017, a trails committee group met with a representative of the VA Dept. of Conservation and recreation to walk through a grant for a WIFI technology enabled environmental literacy project on the trails. We will be the first in the state with use of such technology and content. STAY TUNED! A LOT IS COMING IN 2018. 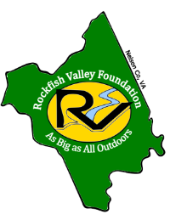 Please get in touch with us and help us make 2018 the most successful year yet for the Rockfish Valley Foundation!